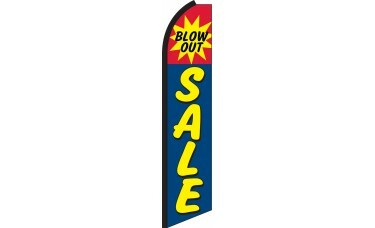 Our Blow Out Sale Swooper Feather Flag features a yellow burst on a red field announcing "Blow Out." Underneath, on a blue field, the word "Sale" is printed vertically in a bold yellow font with a black border and black shading. 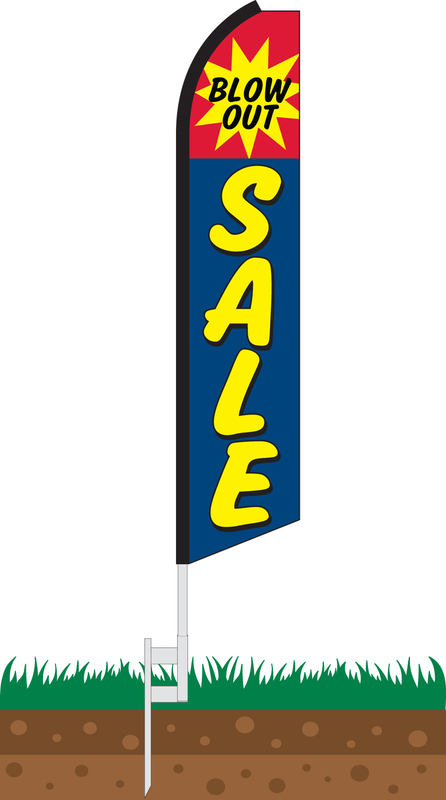 This flag is ideal for any company looking to attract attention and announce a "Blow Out Sale."